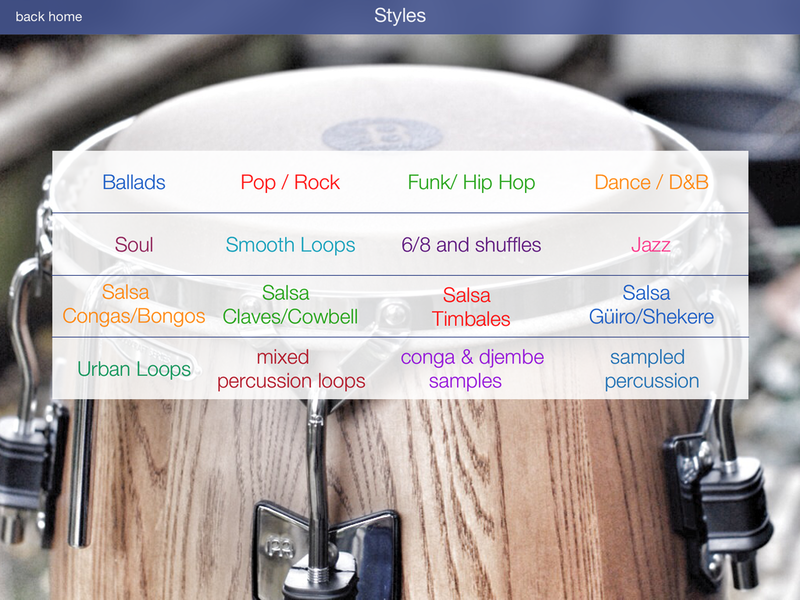 Another app released after many requests by Drum loops HD users. 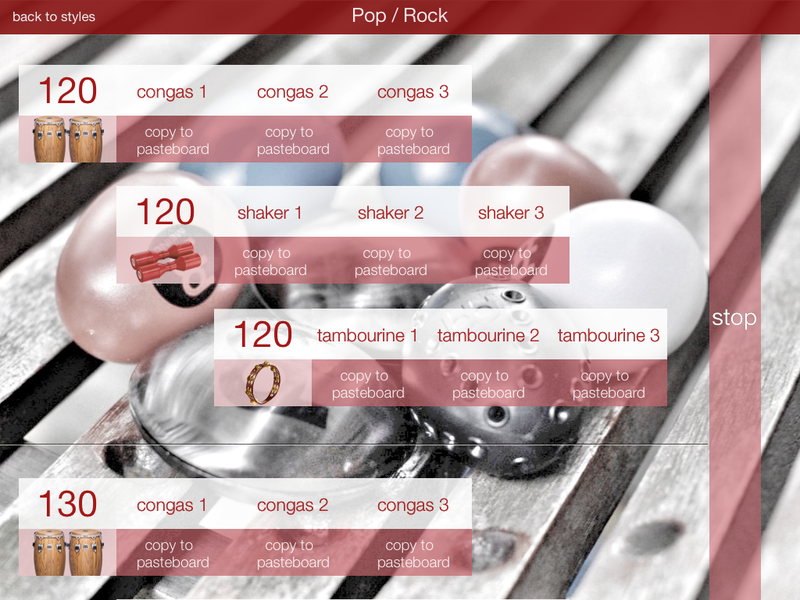 Hans Eijkenaar’s (drummer on Drum Loops HD 1 and 2) regular stage and studio partner Jeroen de Rijk has performed all loops and samples for this app. A full blown percussion app in all relevant styles that combines perfectly with Drum Loops HD and Drum Loops HD 2. 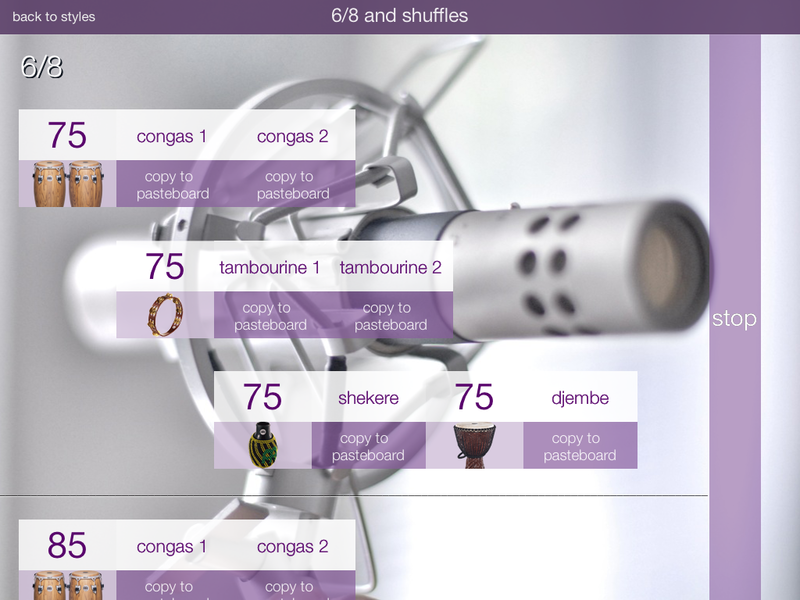 Similar tempos and interpretations were the basis of the percussion recordings in order to give the user the possibility to use both apps together in the most organic way possible. Of course the app was updated a few times and now incorporates Salsa, Calypso, Brazilian, Udu and Reggae chapters, another forte of this experienced player. Jeroen de Rijk has performed with many bands and artists and his resume is worth a look! Check him out at www.jeroenderijk.com. * 4/4, 6/8 loops and shuffles, ‘smooth’ loops, loops in straight time and shuffled time plus some unique ‘urban loops’.